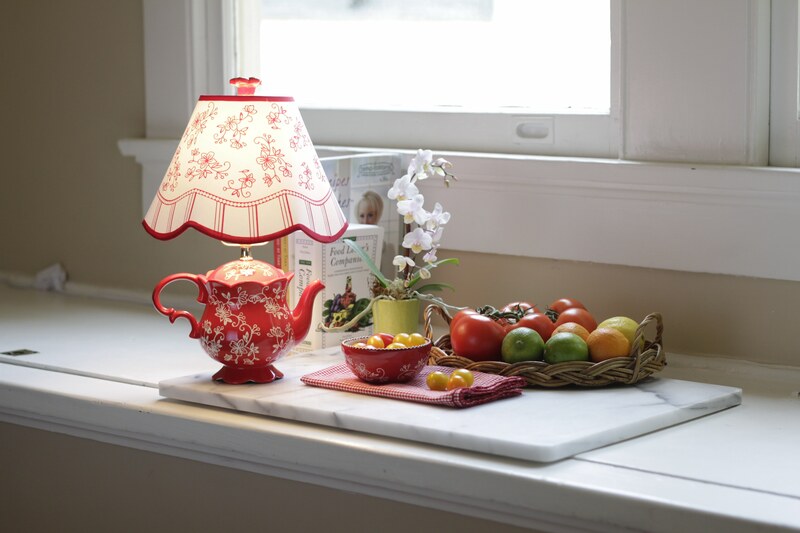 Whether you’re a lover of Floral Lace or a collector of teapots, you’ll won’t be able to resist this charming figural favorite that easily mixes and matches with any temp-tations collection. 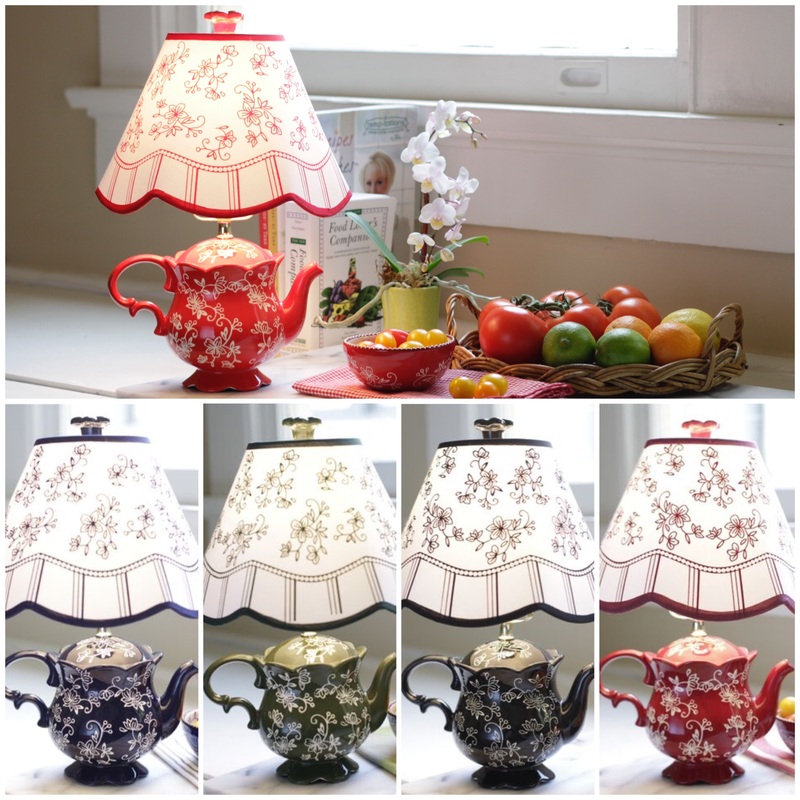 Delicately engraved in rich colors with matching fabric shade, the lamp is a stunning accessory that adds a pop of color and a touch of cozy style to any room in the house. And, it’s available exclusively here on temp-tations.com. Whether you choose red, blue, green, cranberry or black, you’ll love how it’s both functional and beautiful – adding warm light and a focal point wherever you put it. So start shopping! 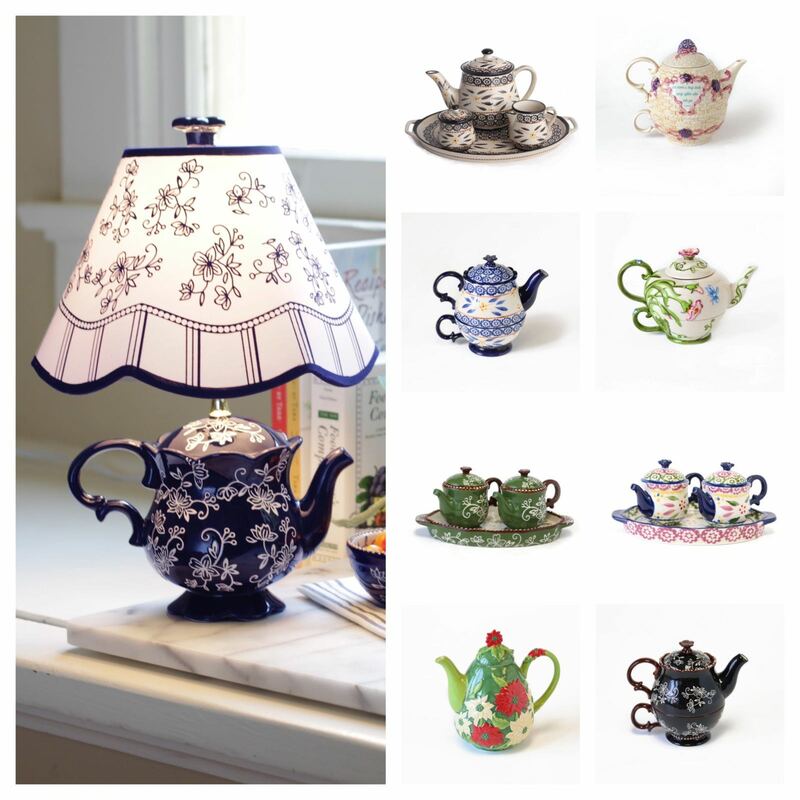 And if you can’t get enough of teatime style, be sure to peruse all the tea sets and figural teapot sets that temptations.com has to offer. They’re a great way to build a whimsical collection and are just waiting to be enjoyed and beautifully displayed.